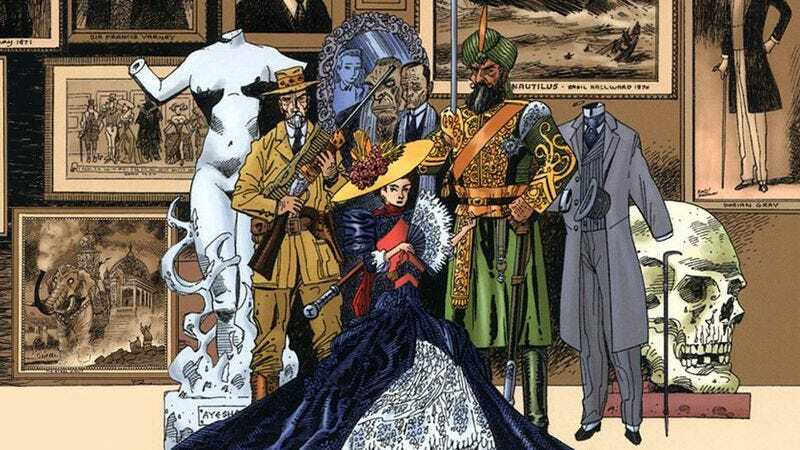 In an effort to head Showtime’s very similar Penny Dreadful off at the pass, Fox is developing a series based around one of the original “public domain characters hangin’ out, feelin’ copyright-free” stories: Alan Moore’s The League Of Extraordinary Gentlemen, which is being developed under a put pilot commitment at the network. Green Lantern (and soon-to-be Blade Runner 2) writer Michael Green is attached as showrunner for the nascent series, which, like the graphic novel it’s based on, sees literary icons like Captain Nemo, Allan Quatermain, the Invisible Man, and more forming a crime-fighting league, all while being extraordinarily polite. Naturally, neither Moore nor illustrator Kevin O’Neill are involved with the series, Moore having long ago distanced himself from the poorly received 2003 film version (as well as pretty much all adaptations of his work). Still, presumably he’ll have a withering opinion on it soon. Should League make it to air, expect Fox to tackle its ABC competitor Agents Of S.H.I.E.L.D. head on, with ads playing up its series’ far classier use of gas lamps, not that vulgar electricity.